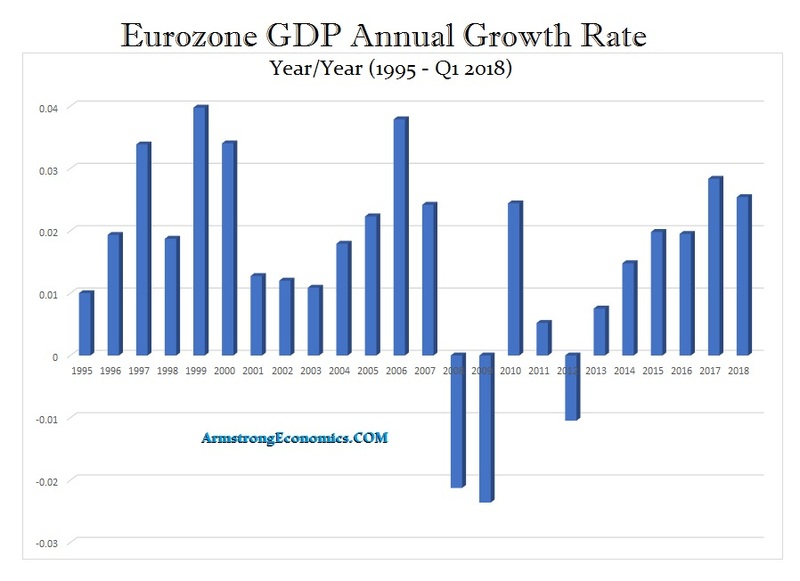 QUESTION: Regardless of all the hype about the euro, from my perspective, the economic growth was far better before the creation of the euro. It just seems as though any improvement is marginal at best. What does your model show for the Eurozone growth rate? ANSWER: You are correct. 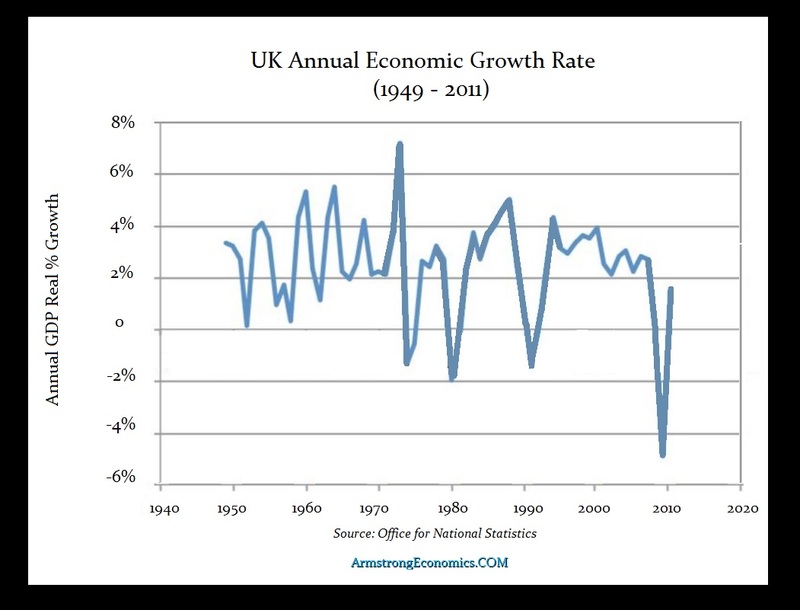 There have been only four years since 1995 when the economic growth actually was above 3% annually. Whenever you add more bureaucracy, that needs to be funded and the net difference falls to the private sector. You can see that despite all the drums and clatter about how the Eurozone would be the largest economy in the world and beat the USA to a pulp, they managed to fall to third place as China has risen to take the second spot. Here is the chart we included in our report supporting BREXIT. The economic growth of Britain peaked the year before they joined the EU. The greater the size of the bureaucracy, the lower the economic growth. This is why I say that socialism is dying. Government is just incompetent and cannot build and grow an economy. It is the people who make a nation – not government.